Every person loves to be in total control of themselves and their actions. However, this does not always happen as there seems to be a force that keeps swaying us towards forbidden habits associated with addiction. These forbidden forces could be largely intentional and inbuilt in the game. It is the developer’s assurance of getting profit someday, after providing certain aspects of the mobile game app free of charge. If a game does not entice one towards the path of addiction, then it may be useless, as it will not survive in the market for longer. The sessions are made to be so engaging that one longs to continue with the next. This means that the period in which one has to wait to experience the next part of the game becomes too time-consuming when the craving is unbearable. The mobile games are built to be achievement based. These achievements are actually achievable and are arranged according to the level of experience in the game. This means that at any instance, the gamer has a potential to achieve something and getting a pat on the back, through words of encouragement. Since humans naturally love to be praised for little achievements, it creates a craving for an even greater achievement. These games help one in developing a sense of pride through sharing their achievement levels with their social network. As opposed to the console games which one has to fully concentrate on, the mobile games give one a sense of security, that they can multitask, ie., play games while they are involved in a different activity. 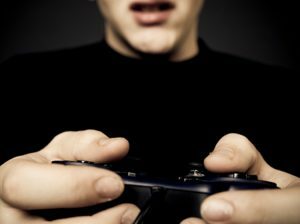 This makes the time spent in gaming regarded as being less of a distraction.